The Cadet Engineering program was a ground-breaking program for under-represented youths from local high schools. It was initiated by OU's School of Engineering in 1970. Check it out! The Winter 2019 library newsletter is now available. Read the latest updates on library events and innovative programs, including highlights from our robust collections, facility enhancements, and a sampling of the first-rate work of library faculty and staff. OU Magazine article -- "Gold mine: Student newspaper archive goes online" -- details how a generous gift from the family of a former OU library professor and the collective efforts of dedicated library employees make it possible for everyone to access digital issues of the university's student newspaper dating back to its inaugural issue, published on October 23, 1959. The Makerspace in Kresge Library is for use by all students, faculty, and staff at Oakland University. This learning environment and collaboration space facilitates hands-on learning about new technologies. The space is cross discipline and encourages creativity, experimentation, design, and even fun. The new book Oakland University: The Campus History Series is available for purchase at the Service Desk in Kresge Library. See more details and a few select photos in a recent article in Oakland Magazine. Special thanks go to Dominique Daniel for authoring the book; to Shirley Paquette, Mandy Summers, and Amy Pelkey for their contributions; and to Stephen Weiter, Graeme Harper, and John Young for their guidance. Kresge Library is on Instagram! Calling all book lovers and OU Grizzlies!...give us a follow! We're on Instagram! Do you have pictures of yourself at Kresge Library? 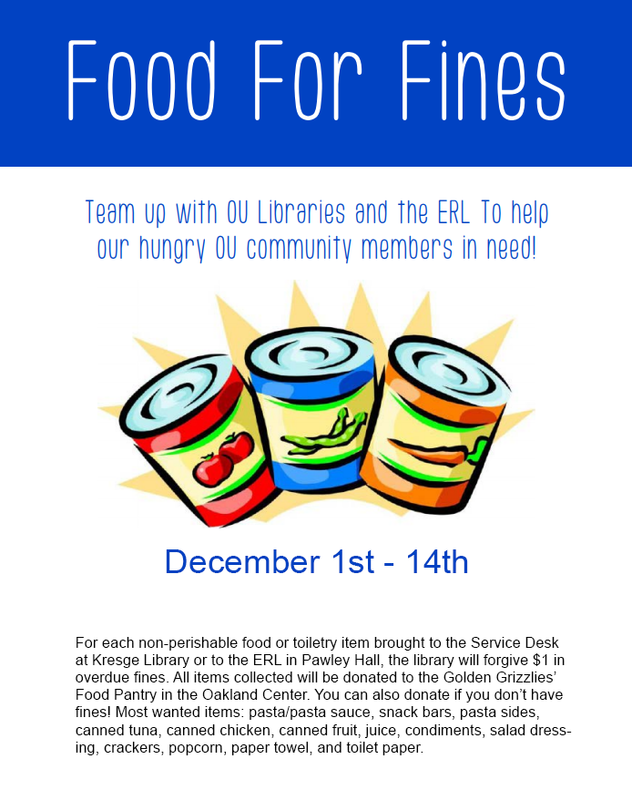 Tag us in it @ou_libraries and use #kresgelibrary! Need help finding your Grizz ID or email account? We know - username & password overload. So, here's a quick guide to what accounts you need, and how to get them. Looking for a Textbook? We have a guide for that! Check out this handy guide if you need to buy, rent, or borrow a textbook. BrowZine is a FREE app available to all OU students and faculty through OU Libraries! The Oakland University Archives is looking for documents relating to the University's history, including items such as official records, papers, reports, minutes, publications, photographs, flyers, maps, etc. Please contact Dominique Daniel (x2478) or Shirley Paquette (x2419) if you have items to donate. Original documents can be returned. Bestsellers and Graphic Novels Now Available! 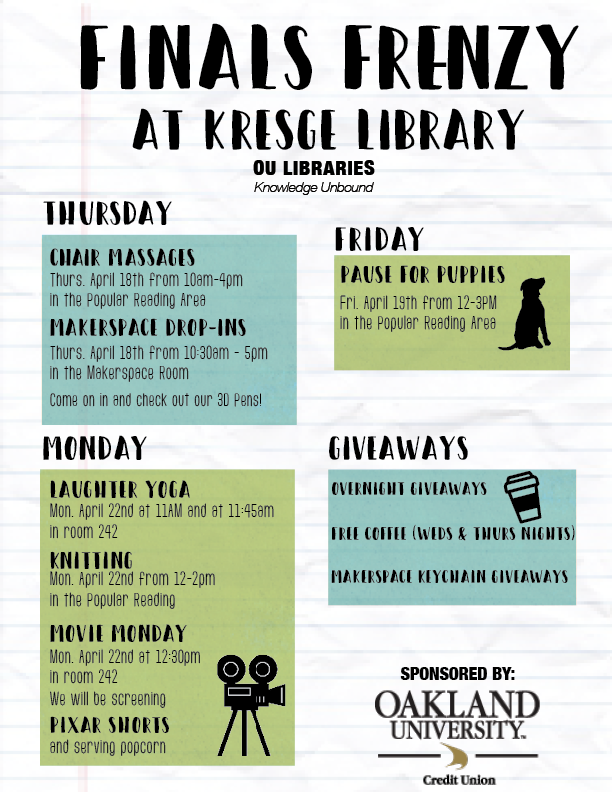 Kresge Library is now home to two new collections - a popular reading collection, funded by the OU Student Congress, and a graphic novel and comic book collection - to provide recreational reading material for OU students. Look in the lobby the next time you come to the Library! You can purchase your own copy of a library-owned ebook published from 2005 by Springer, a major publisher of books and journals in the sciences, engineering, social sciences and medicine. The library has many ebooks from Springer-Verlag, which are available through the library catalog or from the SpringerLink platform. 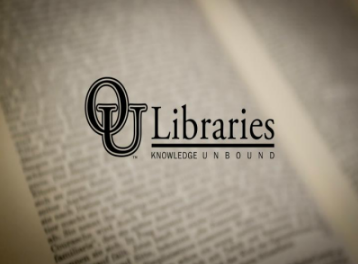 OU has a site-wide license to the Chronicle of Higher Education. Click to give it a test drive!